What kind of career decision making assistance did you receive? What kind of help are young people you know getting? Are schools doing an effective job helping students make smooth school to work transitions? Mavis, a recent graduate, doesn’t want to practice law; she is paying off an $80,000.00 loan! Mark, in grade12, wants to travel before completing post high training. His parents are upset. Mavis and Mark are experiencing common issues. Career indecision is a normal part of growing up. For high school student, questions like, “Who am I?” “What should I do?” can be overwhelming. Peers, school, family, and other societal pressures contribute to anxiety. Although university is a good place to learn more about self, meet people, and explore some career options, is a four year degree the best option for all students? Recent research by the National Center for Educational Statistics indicate that 65.6 percent of all American high school graduates enroll in university. However, studies show that about 56 percent of students complete four-year degrees within six years. Some adolescents, who enjoy working with their hands feel pressured to attend college for financial and status reasons. Many, however, can achieve satisfaction and success without a degree. Brad, a college drop-out, has a successful computer repair business. Numerous technical, trade, and crafts workers such as drafters, electricians, and automobile mechanics earn more than university educated teachers, dietitians, and social workers. What can schools do to assist students with post-high school plans? Effective career education helps students acquire appropriate attitudes, knowledge, and skills in three interrelated areas. 1. Knowledge of self and others. Varied inventories and school and work experiences help students understand personal characteristics, and use this knowledge for exploration of compatible lifestyle options. Students also rehearse effective interpersonal skills. 2. 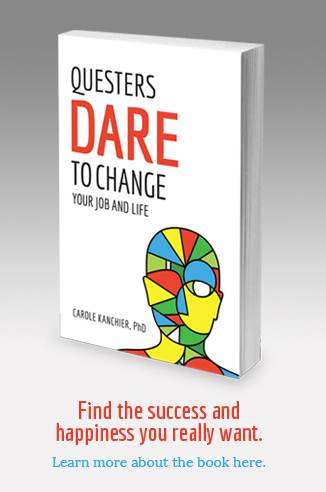 Exploration of career and lifestyle alternatives. This includes the use of numerous strategies that enable students to explore compatible occupational alternatives and educational routes to job entry. Study and job search skills, money management, economic principles, and family, leisure and citizenship roles and settings are addressed, as well. 3. Decision-making and goal setting strategies. These are rehearsed and applied to all life components. Students are encouraged to define broad career goals, and understand that career decision making in a fluid world is lifelong. All good teachers implement many of the forgoing. They also show the relevancy of subject matter and help students develop an appreciation of lifelong learning. Career education should be at the heart of schooling, but people need to recognize that schools cannot do everything. Ideally, educators, parents, and community members should work with students to help them prepare for working, living, and making a social contribution. Results include happy, well-adjusted, healthy, and productive adults.